If you look at your garden in the depths of winter are you pleased with what you see? Is it an uplifting space with lots of attractive plants, colour and scent, or a drab gloomy and boring plot which leaves you feeling totally uninspired to even venture beyond the back door? If it’s the latter, I’ve got just the thing – a quick 4 step guide on how to create an attractive outdoor space to enjoy all year round – and that’s including the winter. Make sure your garden is in good shape with strong lines and well-defined spaces. 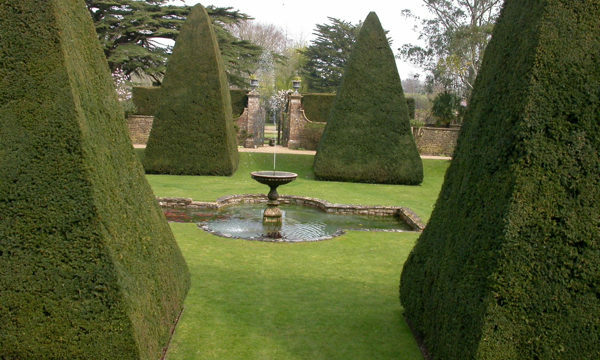 Create lawns, borders and paved areas in formal shapes such as circles and squares, or if you prefer something more informal, go for big sweeping curves. Whatever your preference, just make sure there’s good strong, cohesive shape to all the elements which make up your outside space. Use structures such as walls, fences, pergolas, even obelisks for climbing plants, to create height and structure in your garden. 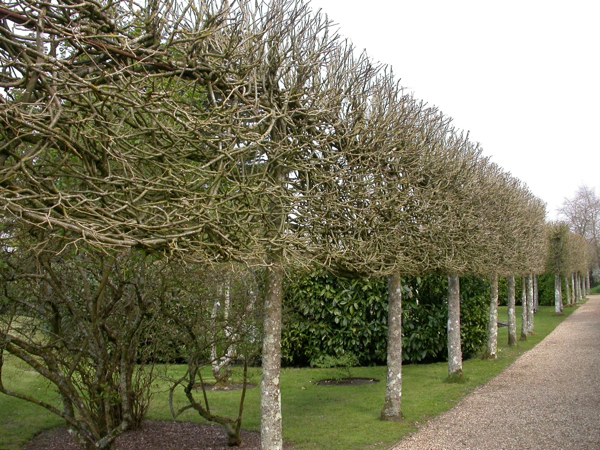 Evergreen plants and hedges are invaluable for adding shape and interest to the garden in winter, but many deciduous shrubs and trees also have great shape when they’ve lost their leaves. 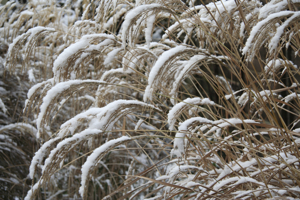 Many grasses such as Miscanthus stand well until early spring (looking lovely with frost on the flowerheads), and a number of perennials have attractive seedheads which are worth leaving to stand to enhance the winter garden. In winter, when it’s harder to create drama with planting, use sculpture, pots, water and attractive furniture to add a further element of interest to your garden and give you something extra to look at. If you can include garden lighting into your scheme then so much the better (and make sure you plan it in at the start of a design project rather than as an afterthought). With well-considered garden lighting you can illuminate your key features and get to enjoy your garden no matter how short the days – and without even stepping outside. I think it’s fair to say that most people concentrate on plants which are at their best throughout the summer as that’s when they tend to use their gardens most. 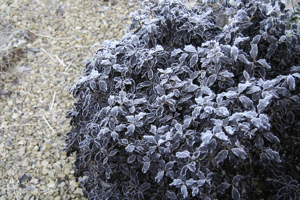 But there are so many fantastic plants which look great over winter that it’s really worth finding space for them too. If you’re not particularly keen on getting outside in cold weather just make sure you position the plants where you will be able to see them from inside or on your way into the house from the car! Place scented plants such as Sarcococca and Viburnum by pathways. Position winter flowering shrubs and trees like Mahonia and Hamamelis (‘Witch Hazel’) where you will see them from the house. Cornus sanguinea ‘Midwinter Fire’ is a superb shrub for brightening up the garden in winter. Plant en masse for maximum effect. 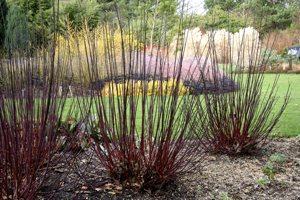 Put plants with coloured stems and bark such as Cornus (‘dogwood’), Willows and Silver Birch where they will catch the winter sun to see them at their glowing best. 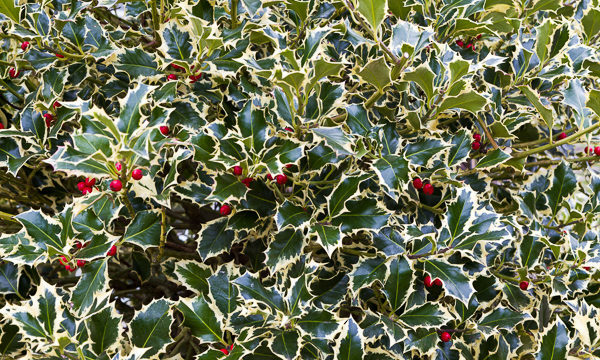 Include trees and shrubs such as Malus (crab apples), Hollies and Pyracantha for colourful berries (great to look at but also valuable for wildlife). I’m one of those people who can’t stand being inside if the weather’s even half decent. And on a sunny winter’s day it’s a real treat to find a cosy space to sit and enjoy the warmth of the sun. 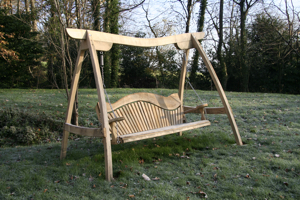 So don’t forget about designing in a seating area which will catch the winter sun in your garden. 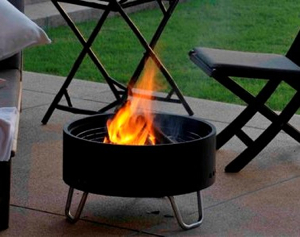 And to really make the most of things, you could include space for a firepit – very useful too on those less-than-balmy summer evenings we in the UK generally have to contend with. Add some scented planting nearby, a sculpture or two and a splash of winter colour and you’ll be all set to enjoy your garden throughout the winter! To find out more about colourful plants for winter interest, click here. 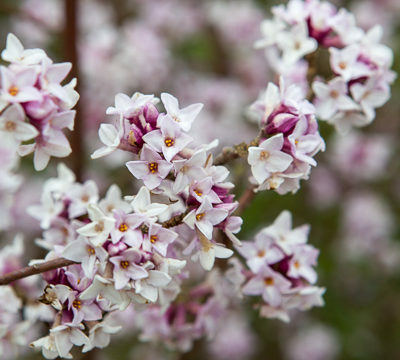 To read about scented plants for winter, click here. Thanks so much! Happy New Year to you too.